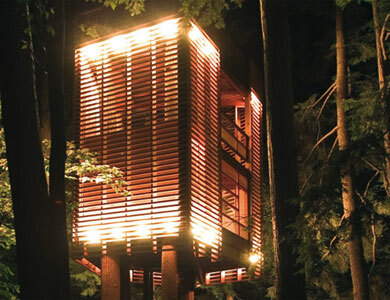 Community Blog - Green Treehouses… is there any other sort? 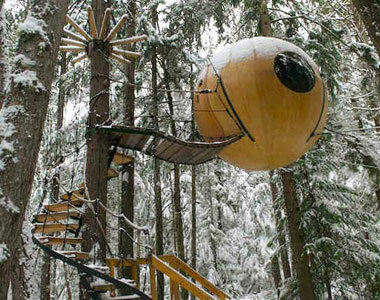 Green Treehouses… is there any other sort? Well yes there are and they are quite spectacular. Inhabitat.com has photographed a collection of brilliant eco friendly tree houses from across the globe. They've captured the unusual and the enchanted. There's the 4Treehouse that sits amongst the fir trees of Lak Muskoka in Ontario. It looks a little like a Japanese lantern on stilts. The design minimizes the impact on the trees and the surrounding natural area. 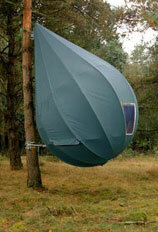 Then there are the Tree Tents designed by Dutch sculptor Dré Wapenaar that were created to help out tree-sitting activists on their missions. As you can see here these look like droplets of water attached to the trees. Apparently four adults could have a good night sleep in one. Another of our favourites is the Free Spirit Eco Spheres which are handcrafted from fiberglass and locally sourced wood. They have an electrical line for heating and electricity (from a renewable source of course), are supported by a web like structure and can be accessed via a beautiful spiral staircase wound around the trunk. Inhabitat.com is a "devoted to the future of design, tracking the innovations in technology, practices and materials that are pushing architecture and home design towards a smarter and more sustainable future." Sounds like a sweet bit of green inspiration to us! If you're interested in getting some help to design and build your dream eco tree house definitely take a look at Blue Forest's portfolio. For a small fortune you can have an amazing tree home all of your own. 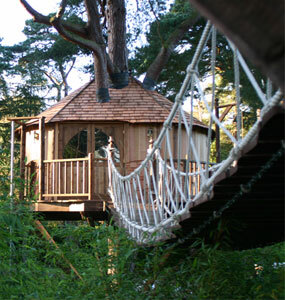 If you're like me and have to settle for borrowing a luxury tree house for a short break away, try The Tree House in Scotland. It's a unique eco building built around a whole oak tree. Perfect for a serene break and satisfying those inner-child tree-climbing desires.